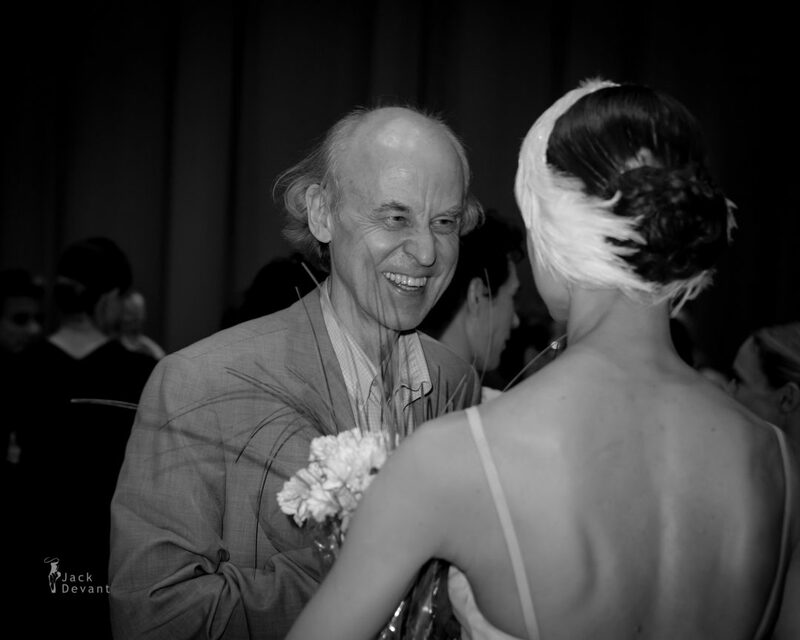 Boris Akimov and Ulyana Lopatkina, Benois de la Danse 2015 backstage. Boris Akimov was born in Vienna, 25 June 1946. In 1965, after graduation from the Moscow Choreographic School (now the Moscow State Choreographic Academy) where he studied under Maris Liepa among other teachers, he joined the Ballet Company of the Bolshoi Theater. He perfected his excellence under the guidance of a renowned dancer and a teacher Alexei Ermolaev. Thanks to his acting talent, powerful temperament and expressiveness of his performing style Akimov was an indispensable participant of premiers from modern repertoire. In 1979 Boris Akimov graduated from the pedagogical faculty of the Russian University of Theatre Arts (GITIS) n.a. A.V. Lunacharsky (now RATI/ The Russian Academy of theatrical arts). 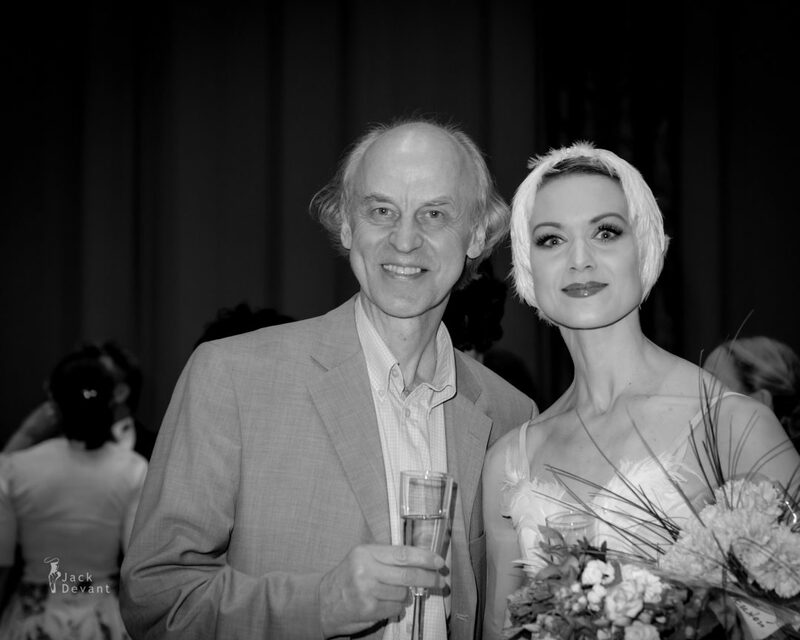 Since 1989 he is a ballet master- repetiteur with the Bolshoi Theatre. Moreover, he acted in this capacity at London’s Covent Garden, Milan’s La Scala, Asami Maki Ballet Tokyo, Vienna State Opera, Hamburg State Opera, Bavarian State Opera (Munich), Royal Danish Ballet (Copenhagen), Opera National de Paris, Mariinsky State Academic Theatre, Basel Ballet, Switzerland, National Ballet of Holland (Amsterdam) and London Royal School. He starred in the film-ballet A Terrible Epoch (after the ballet Ivan the Terrible, directors Y. Grigorovich and V. Derbenev, 1978) and in the tele-version of Swan Lake (1983). He writes music, as far back as in Soviet times he released a disc of vocal lyrics (on Sergey Esenin verses). In 2000-2003 Boris Akimov was the Artistic Director of the Bolshoi Theater Ballet Company. In 2001-2005 he was the professor of the male classical and duet-classical dance Department at the Moscow State Choreographic Academy, in 2001-02 he was an acting Rector of the Academy and in 2002-05 — its Artistic Director. At present he is the teacher-repetiteur of the soloists Yan Godovsky, Morihiro Iwata, Ilya Ryzhakov, Dmitry Rykhlov, Gennady Yanin and other dancers. Ulyana Lopatkina (written also Uliana; Rus. Ульяна Лопаткина) is prima ballerina with Mariinsky Ballet, St. Peterburg, Russia. Ulyana was born 1973 in Kerch (Ukraine). From the early age Ulyana took dancing classes and was admitted to the Academy of Russian Ballet named after Vaganova (St.Petersburg) where she studied the art of dancing from Galina Novitskaya in primary school and Natalia Dudinskaya in higher school. Still being a student of the Academy, Uliana took won at Vaganova-prix Competition (St.Petersburg, 1991). After graduation from the Academy in 1991 Ulyana joined Mariinsky theatre company (St.Petersburg). In 1994 Ulyana successfully made her debut as Odette/Odille in the “Swan Lake” ballet in St.Petersburg, for which she was awarded with “Golden Sofit” as best debut in St.Petersburg. In 1995 Ulyana was called the principal dancer of Mariinsky theatre where her teachers were Olga Moiseeva and Ninel Kurgapkina. Presently Ulyana’s coach is Irina Chistyakova.